A civil rights organisation, Campaign Against Military Impunity, has raised the alarm over alleged recruitment scandal in the Nigerian Airforce. 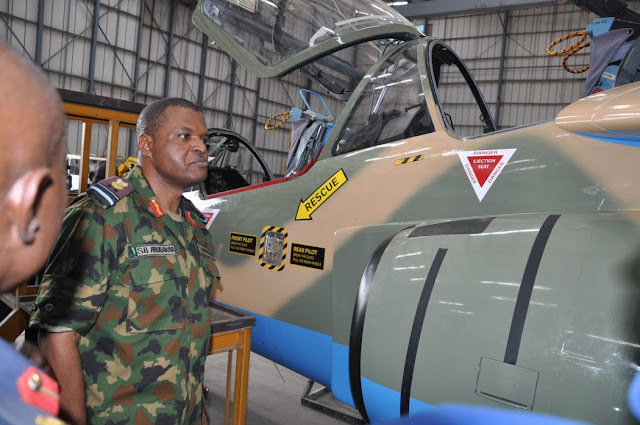 The organisation alleged that the chief of air staff, Air Vice Marshal Sadiq Abubakar, had compromised standards in the recruitment exercise for non-commissioned officers from the core North. Presently at the Airforce Base in Kaduna, there is ongoing pre-training formalities and tests for successful recruits, where 80 per cent of them are Northerners, CAMI said. Victor Coker, the executive director of CAMI, told journalists in Abuja, on Monday, June 26, 2017 that the government should carry out an audit of the exercise and courses going on in all the military training institutions. “To unravel this misnomer, there should be an audit of the courses going on in all the training institutions. The audit should look at the composition and last three batches of those in training”, he advised. Coker said, “They were supposed to take 68 persons in each state; but after the normal recruitment, the Chief of Air Staff now brought over 2,000 names spread across the core Northern States. Out of this figure, only 30/40 was given to the South. This is not the first time it is happening. Such things have been done in DSS, EFCC, and even police, Army and the Navy. “How can the desert be more populated than the tropical rain forest? This was how the population census was done before independence”, he queried. But when contacted, the Director of Public Relations and Information in Nigerian Airforce, Air Commodore Olatokunbo Adesanya, denied the allegation. He said, “I think it is most advisable that the list of the people recruited should be made public first. Then, those making the claims can painstakingly go through the list. If there is any state that is not fairly represented, then, let them raise the alarm, rather than be speculating. A list is not yet out, yet people are speculating that the North has been favoured. Recently, Harold Smith, one of the architects of colonial foundation that midwifed Nigerian independence in 1960, opened up and confessed how the census was manipulated to favour the North. Smith was said to have confessed during a program on Ben TV what went behind the scene before the independence. The Oxford University graduate said, “I am in my 80s now; I have agreed but in the past’ they’ did not want me to say anything, but now I don’t want to go to my grave without telling the truth about the atrocities perpetrated in Africa by the colonialists. “Our agenda was to completely exploit Africa. Nigeria was my duty post. When we assessed Nigeria, this was what we found in the southern region; *strength, intelligence, determination to succeed, well established history, complex but focused life style, great hope and aspirations.